SXC, originally known as Space Experience Curaçao, is one of XCOR’s major customers, selling seats on future flights by XCOR’s Lynx suborbital spaceplane. SXC plans to “wet lease” Lynx vehicles from XCOR for operations from the Caribbean island of Curaçao. SXC is based in the Netherlands, and as such the investment was reviewed by the Committee on Foreign Investment in the United States (CFIUS), an office of the Treasury Department that vets foreign investments in some industries. XCOR said in the statement announcing the investment that CFIUS had cleared the investment. 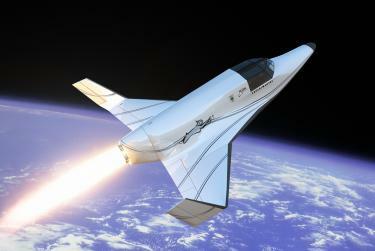 The investment, according to the release, will fund XCOR’s work on Lynx to bring the suborbital spaceplane to market. The prototype Lynx Mark I is being assembled at XCOR’s Mojave facility, and company officials said earlier this month that they expect tests of that prototype to begin later this year. “This investment will allow us to accelerate and run in parallel several final developments in the critical path to first flight,” XCOR CEO Jeff Greason said in the announcement. Once the test flight program starts for the Lynx, it will be at least a year before commercial flights will begin. In a presentation at the National Space Society’s International Space Development Conference (ISDC) in Los Angeles earlier this month, XCOR test pilot and former astronaut Rick Searfoss said he anticipated a test flight program of 12 to 18 months, depending on the progress the company makes on the incremental series of test flights. XCOR is also getting ready to move its operations from Mojave Air and Space Port in California to Midland International Airport in Texas. Officials there said earlier this month that they’re making progress on getting a spaceport license from the FAA’s Office of Commercial Space Transportation, and expect to get approval by September 15. Work is also underway there to remodel a hangar that XCOR will use.